Ally’s Manito-wish experience began when she was a little girl, spending holidays on property with her family. Her journey continued with the one week program as an Explorer, followed by four years in summer camp and two years of outpost. 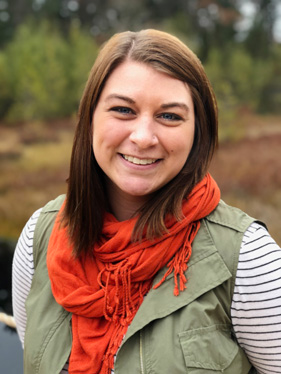 Ally has spent the past several summers on staff having worked for all three of Camps core program areas, serving many roles: Tripping Assistant, Counselor, Kitchen Staff, Leadership Trail Facilitator, Outpost Leader, Sectional, Program Staff Director and Staff Recruitment Coordinator. Ally majored in Recreation Administration at Eastern Illinois University. She is excited to put her education and past leadership experiences to use as the Summer Program Director.